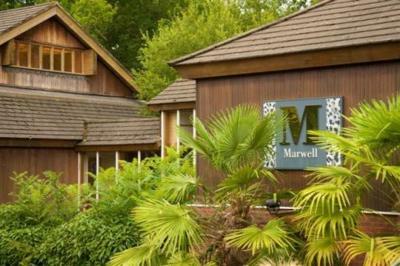 Lock in a great price for Marwell Hotel - A Bespoke Hotel - rated 8 by recent guests. The evening meal was nice and the location was pretty. Beds were comfortable, room was a reasonable size. 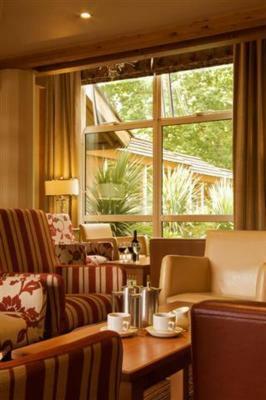 I loved the lodge style and the ambience the place is unique. The rooms were wonderful. Swimming pool was great for families with children, breakfast was good. Catered for our 1 year old well by providing cots and high chairs whenever necessary. Some of the receptionists were very helpful and friendly. 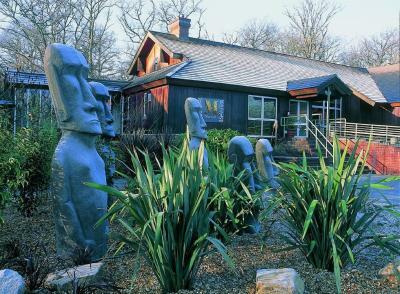 Right next to the zoo and a short drive from the New Forest, Winchester and Paultons Park theme park. 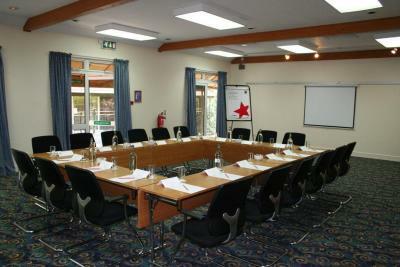 Friendly staff, beautiful rooms and excellent value for money. A great little escape from the city. Nice views to the forest from the rooms. You can really feel it's a family run hotel. 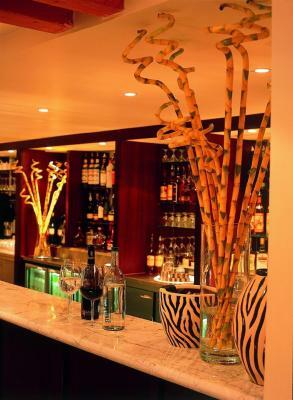 The staff were very friendly polite and accommodating. 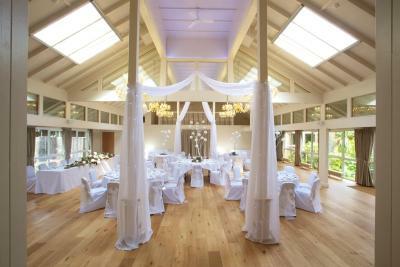 One of our top picks in Winchester.In the beautiful Hampshire countryside, this colonial-style hotel has a pool, a sauna and free parking. Marwell Zoo is opposite the hotel and both Winchester and Southampton are within a 10 miles radius for the property. 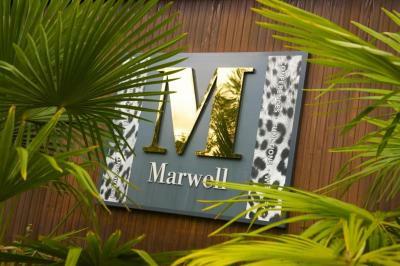 Each room at the Marwell Hotel has a flat-screen TV, free Wi-Fi and free tea and coffee making facilities. 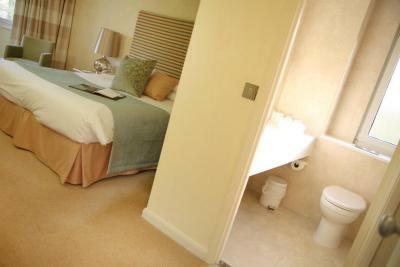 Many rooms have garden views, whilst all have a private bathroom and 24-hour room service. 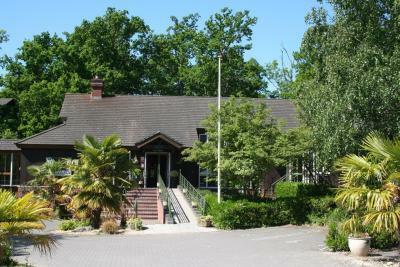 The Dining Room Restaurant provides a menu based on locally sourced, seasonal produce. 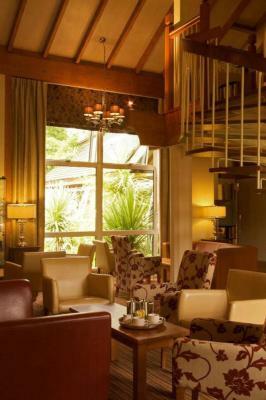 Serving breakfast and a dinner menu, the relaxed bar and lounge also offers a range of drinks. 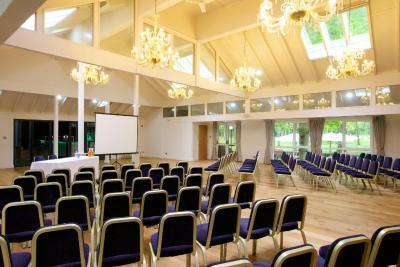 Guests have free use of the leisure centre which features an indoor heated swimming pool, running machines and spa bath. 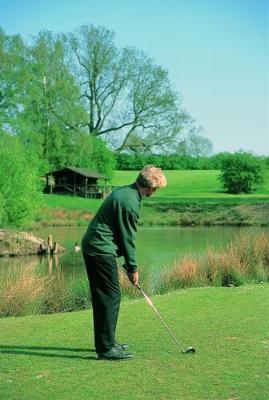 Marwell Hotel’s golf centre, with two 18-hole courses, is within a few minutes’ drive. Southampton’s shops and bars, and Winchester’s historic centre are both around 20 minutes’ drive. 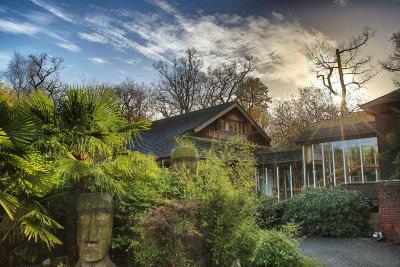 Marwell Hotel - A Bespoke Hotel has been welcoming Booking.com guests since 12 Nov 2009. When would you like to stay at Marwell Hotel - A Bespoke Hotel? 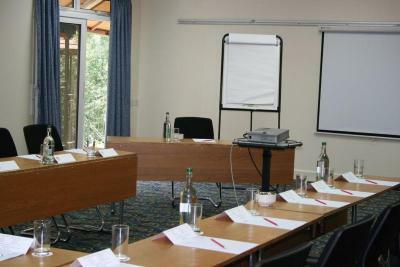 This room has a flat-screen TV, complimentary hospitality tray and free Wi-Fi. 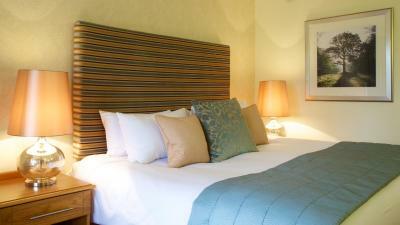 Many rooms have garden views, whilst all have a private bathroom, complimentary toiletries and 24-hour room service. This room has a TV, free Wi-Fi and free tea and coffee. 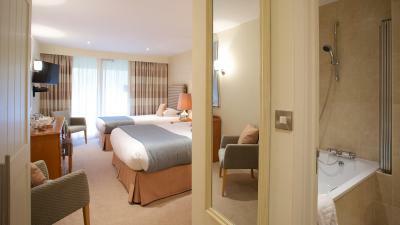 Many rooms have garden views, whilst all a private bathroom and 24-hour room service. This room has a TV, free Wi-Fi and free tea and coffee. 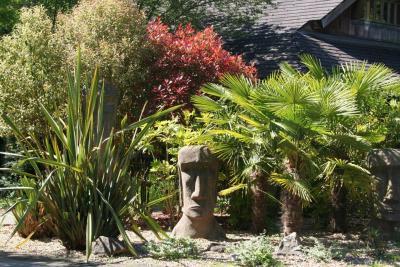 Many rooms have garden views, whilst all have a a private bathroom and 24-hour room service. 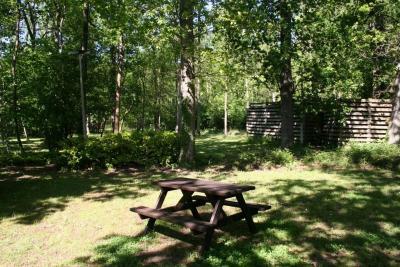 Accommodates up to 2 adults and 2 children under 12 years. 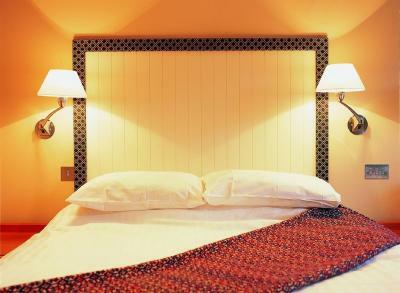 Free Wi-Fi, a flat-screen TV and free tea and coffee are featured in these rooms. 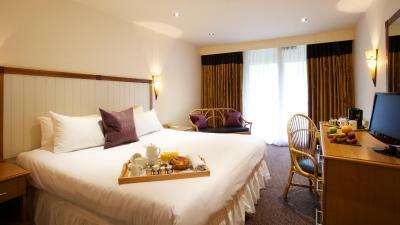 Free WiFi, a flat-screen TV and free tea and coffee are featured in these rooms. 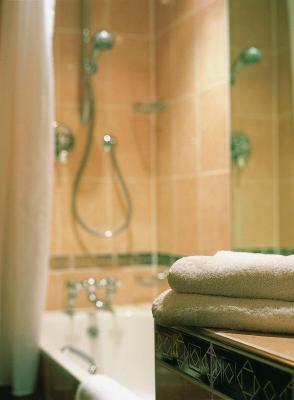 Extras include luxury Temple Spa toiletries. 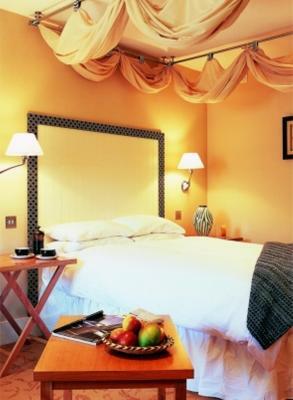 Free WiFi, a flat-screen TV and free tea and coffee are featured in these rooms. 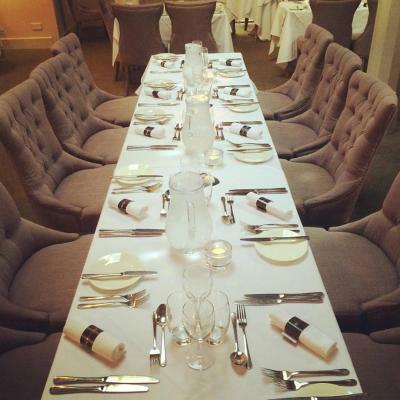 House rules Marwell Hotel - A Bespoke Hotel takes special requests - add in the next step! 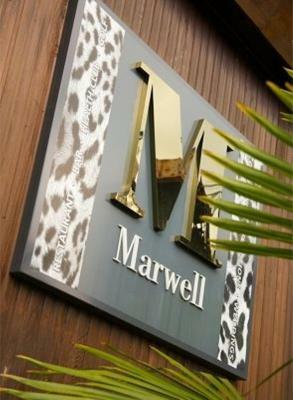 Marwell Hotel - A Bespoke Hotel accepts these cards and reserves the right to temporarily hold an amount prior to arrival. A credit card is required at the hotel as a guarantee. Children 0-2 years old are free of charge if sleeping in existing beds. Children 3-12 years old will pay a GBP 10 supplement on top of the rate, per child, per night, which will be added by the hotel when you check in. People older than 13 years are considered adults, so the hotel will add a GBP 15 supplement on top of the rate at check-in. Reception staff both at check in and check out were friendly and helpful. No ventilation in the room except for opening the patio door which there was a fire escape exit available to adjacent rooms. Not much security if you were not in the room. 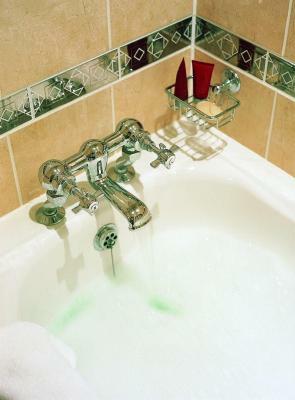 I have never been to a hotel before which did not have some form of mechanical ventilation. As it was one of the hottest days of the year so far it was an uncomfortable temperature to sleep in. Also there was no fridge in the room or any complementary bottled water. Most things. Staff need better training. Heating on permanently and unpleasantly hot. Rang for an upgrade, which was confirmed but not actioned. Room was very warm, had to have the fan on all night as well as windows open. Restaurant food was a bit disappointing, especially vegetarian options which were very bland. 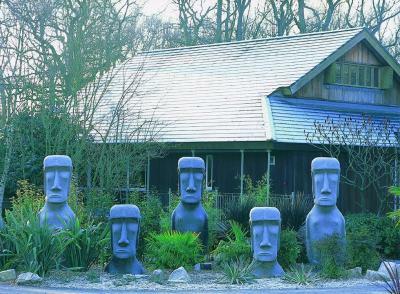 Some staff were less friendly than others, although some were excellent. Room could have been cleaner in places. On arrival the receptionist was eating diner from a plate which I would not expect in any hotel, but then this morning was eating breakfast at the reception desk. We were not advised about needing a paper card to put anything from the bar on our room but this was quickly rectified with another trip to reception. The property is tired and very poorly kept, the lawn need cutting the confetti need clearing away all the seat covers outside are dirty and stained and the lawned area is not very inviting at all. We ate from the bar menu and ordered Marwell’s burger and chip it arrived very quickly with about 5 minutes so I very much doubt it was freshly cooked and the bun was rock hard the middle of the burger raw and I think I did manage to find a small bit of bacon, so we left most of it. On to the room, it may have a kettle but you can’t plug it in as you can’t get the plug to the socket as the dresser is in the way so you have to put the kettle on the floor and plug it in using the floor socket. The lamp shade nearest the bathroom was not even attached to the light but the receptionist did not seem bother when I raised this and just smiled. The fan in the bathroom did not work The pillows were literally one inch thick so we had to request more. Enamel peeling off the inside of the bath The bed is made up of two halves and the latch that connected the two bases was broken On the door frames the paint is scratch and chipped and peeling away Note: the only window in this room is patio doors at night when a sleep and they are closed there is not other ventilation into the room so it can become very warm. Outside the room is the fire escape and at the end of it a pile of fag butts as people use it to go out and smoke I cannot recall seeing anywhere dogs were welcome but this morning in the breakfast room in walks this dog which apparently is on holiday at the property as well. Dirty and dated.... No reinvestment at all. Hot tub wasn't working in the pool. No eggs available at breakfast- only scrambled. Bar very expensive. 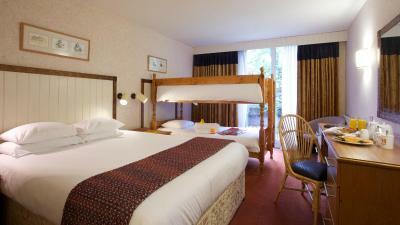 Beds and linen good and room clean. 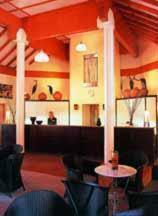 The second room was not ready on arrival and we were told that once ready the receptionist would bring key down. After about hour I went to reception as we had not heard anything and ask for key which they had at front desk. The evening restaurant was out of our price range so ww were limited tothe bar and although the food was nice the range was limited. A few options for children would be good. 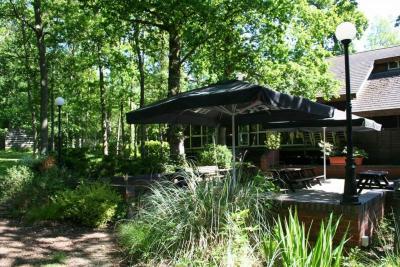 We enjoyed the swimming pool and bar area. My husband liked the running machine and suna. We liked the glass aspects to the hotel. The rooms were nice. The receptionist called Olivia (Isabel) middle name. She was are happy and on hand to help. Thank you to you.